Western Pneumatics has built a variety of chain and or paddle conveyors. The chains can be bare, flighted, or have paddles attached to the chain. Paddles attached to the chain provide larger moving capacity either in the flat or inclined. These conveyors can deliver material either pulling it on the bottom of the conveyor pan or pulling it on top with a bottom return. 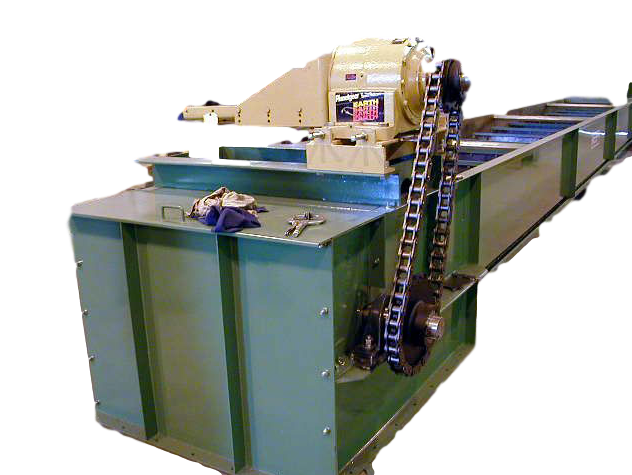 These conveyors can be totally enclosed or have the return on the bottom of the conveyor. Access, supports, infeed and outfeed of each conveyor are also expertly addressed in our designs.